Veris Group, LLC, a cybersecurity solutions provider to the public and private sectors, announced Sept. 2 the appointment of David L. McClure to the new position of Chief Strategist. In this position, McClure will work with federal and state agencies to implement cloud strategies and technologies to secure and modernize information technology, enhance performance, and improve mission results. His role will leverage Veris Group’s capabilities in addressing the needs of federal government stakeholders to expand the organization’s presence in the public and private sectors, refine corporate strategies, and develop joint solutions with industry partners. 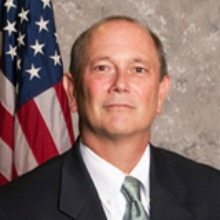 McClure brings more than 25 years of leadership experience in the federal government to his new role, including an 18-year career with the Government Accountability Office, where he conducted wide-ranging reviews of major systems development and IT management capabilities in almost all major Cabinet departments and agencies. He also supported public sector clients worldwide as Gartner’s Managing Vice President for global government research. McClure previously served as the Associate Administrator of the U.S. GSA Office of Citizen Services and Innovative Technologies from 2009 to 2014.